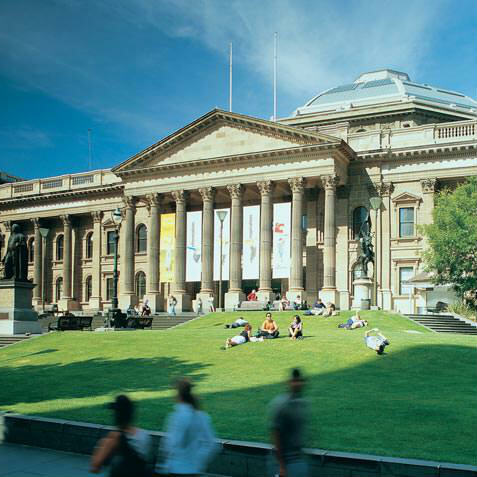 State Library Victoria is an exciting, diverse and inspirational place to work. Since the Library opened in 1856, our focus has been on the people who work here and the public who visit us. We offer opportunities across a wide variety of occupations, ranging from information management and librarianship, conservation and digital specialisations to public programming and event management, curatorship, exhibition development, human resources, communications, finance, information technology and more. Staff enjoy a range of benefits, including learning and development opportunities, flexible working practices, health and wellbeing programs, an employee assistance program, Social Club and Commuter Club membership and a central location close to public transport. Find out more about employment conditions at the Library. Our staff are passionate, motivated, professional, welcoming and proud to work in one of Melbourne’s most prized architectural jewels and best-loved cultural icons. We treasure our rich heritage and collection, and are excited by the Library’s future as a place that inspires possibilities for all Victorians. Our staff work alongside our valued volunteers who deliver tours of the Library, greet visitors and support a range of programs and projects. We also support the education and development of tertiary students through student placements. Find out more about applying for a job at the Library.